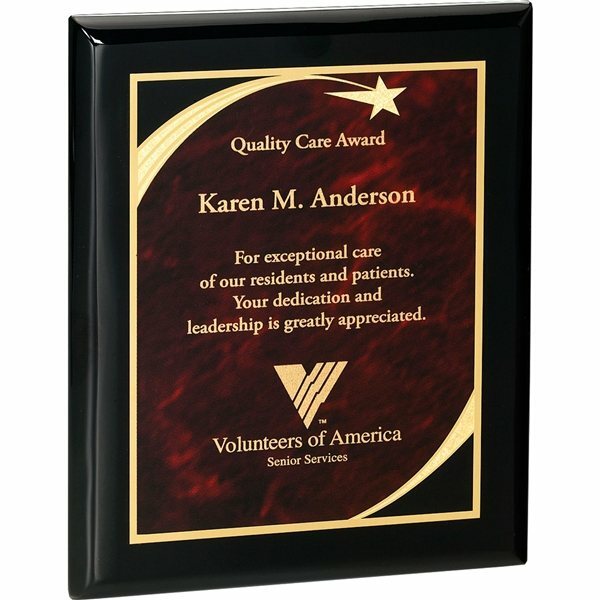 Vanguard Plaques - 8 3/4" x 10"
Piano wood finish in jet Black with 6″ x 8″ Black/Burgundy marble shooting star designed plate. Exactly as advertised. Very good variety of unique products. I've only been using mine for a month or so, but it seems like it will last for many uses. I would love the logo in the color and it should last longer and not fade. They're lightweight & very stylish! They were bought as gifts for presenters at our recent conference, as well as for our next one. Precisely what I needed! No complaints! the quality of the actual product and how quickly it arrived.